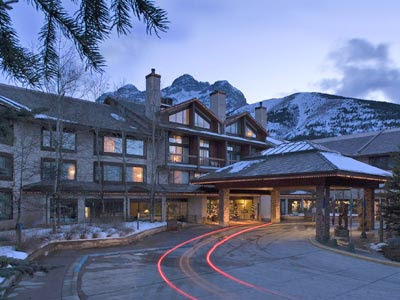 The 51st Masonic Spring Workshop in Kananaskis, Alberta, Canada will be held this year on April 8-10, 2016, and will again be at the beautiful Delta Lodge Resort high in the Canadian Rockies. This year's keynote speaker will be WBro. Adam Kendall, Past Master of San Francisco's Phoenix Lodge No. 144, and the Northern California Research Lodge. 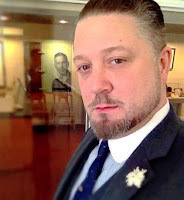 Adam is the Collections Manager and Curator of the Henry Wilson Coil Library and Museum at the Grand Lodge of California F&AM. Other session speakers have not yet been posted. The theme of this year's event is "Freemasonry: A Progressive Science." 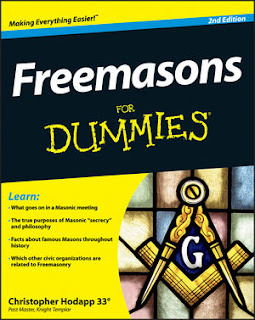 The Principles, the Landmarks of Freemasonry (not the lists which predominate American Freemasonry but those personal matters whose removal would cause our fraternity not to be Freemasonry) are set in our own minds and, in some ways, in stone and have been for many centuries - debate is open as to how many centuries. Yet, our fraternity is a progressive science. Based on the Principles and Landmarks, each new discovery of any of the many different aspects of Freemasonry increases our knowledge and we progress along the road to enlightenment. Our Guest Speaker, Adam Kendall, will start the weekend off with an enthusiastic and knowledgeable journey in the progress of our science in his Theme Address entitled "The Progressive Science: Tradition vs. Modernity"
The Schools of Instruction are divided into four specific streams - The Progressive Science; History & Legend; Philosophy & Symbolism; and Training. I had the honor of speaking at this event back in 2008. The biggest standout is the sheer sense of fun and true love of learning that permeates the conference. Make no mistake - this is not an unsophisticated group of Masons. 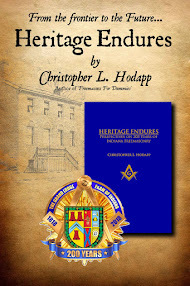 They are not there out of a sense of duty, but out of the desire to advance the fraternity at the lodge level . This workshop is not for appendant bodies, but for Blue Lodge Masonry. And it is a hallmark of the conference that the GM of Alberta declares for the weekend that there will be no honorific or exalted titles to be used for the duration of the conference. Every attendee is simply "brother." There are no ties, no jackets, no gold chains, bilious medals or grand bling anywhere. Name tags simply say each brother's name and lodge. I believe this has great merit and goes a long way to fostering real camaraderie and friendships, truly meeting on the level. Apart from the workshops themselves, the true brotherhood and friendships happen in the hallways and the hospitality rooms. The scotch flows freely, and you are likely to find one room packed with guys watching the Simpson's Stonecutters' episode, another with three TVs monitoring the hockey playoffs, and yet more with guitar singalongs. Canada being Canada, the accents are a wild smattering of international influences - French, Scottish, Australian, Austrian, and plenty of "eh's?" 85 year old PGMs rub shoulders with 20-something Junior Stewards, all excitedly exchanging reminiscences, programming ideas, or recipes to feed 50 hungry boys on lodge night. It is without question one of the friendliest and most useful Masonic conferences I have ever attended. An added benefit is that there is a progressive group of Masons in Alberta that make certain their lodges provide quality programming and education, along with real fellowship, at every meeting. It can be argued either way that it's because of this workshop, or that the workshop is outstanding because of their dedication. Either way, a win is still a win. Negativity is NOT on the menu at this workshop. This Workshop deserves bigger support, and I encourage those in Canada and the Western US to make the trip. To register for the Workshop, get more information, and make hotel reservations, CLICK HERE.